If anyone wants to post then leave your email in the comments ill happily add you! And of course Staly Vegas! Thanks for everything guys btw. I loved the time when i considered myself a tiny bit popular but yeah thanks. Much love good luck in life. 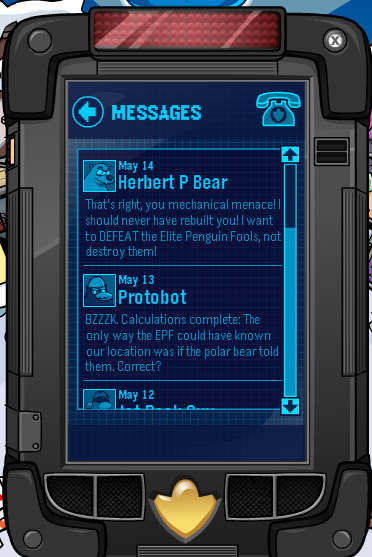 New Club Penguin EPF Message From Herbert! Good ‘ol Herbert. What do you think? Do you trust him? Leave a comment! New Club Penguin Rollerscape Levels! Hey Guys! You all know by now that there is a beta site on Club penguin, right? 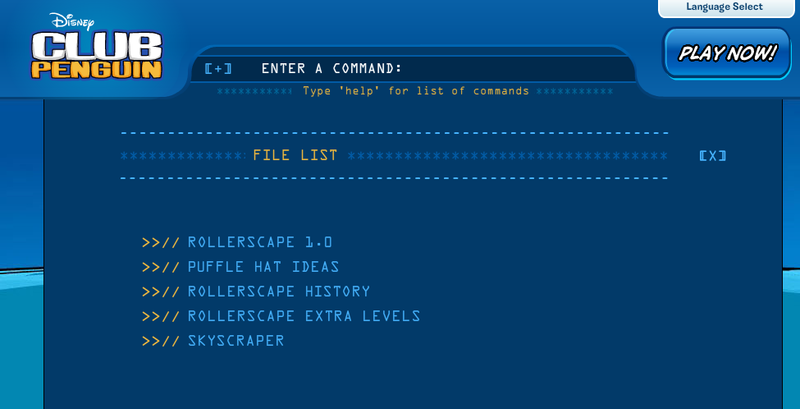 And that there was the game ‘RollerScape’ on it that Happy77 previewed to us? Well now there is 4 new levels added to it! Lets see! Click Rollerscape extra levels to play the extra levels! You’ll also notcie the section ‘Skyscraper’ but that just appears with a black screen. A new game again? We’ll just have to wait and see. What do you think? 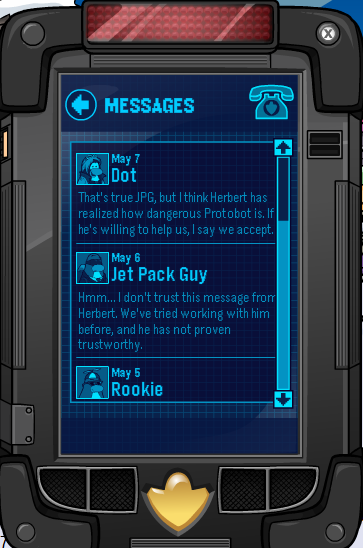 We need to take Protobot offline immediately!Do you think that this means there will be a new mission or Protobot will show up at the Medieval Party? 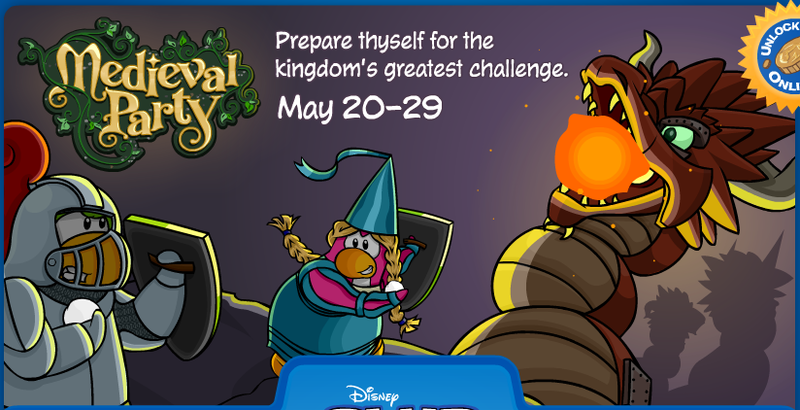 New Club Penguin EPF Message From Dot! Interesting, What do you guys think? Would you trust Herbert or would you say no?